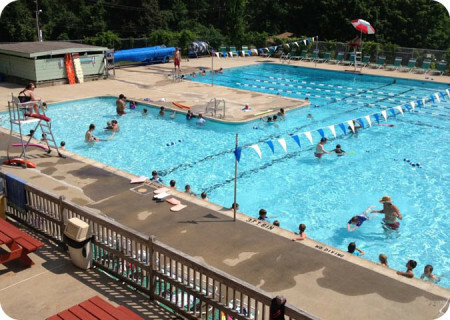 Did you know that the YMCA operates and owns more swimming pools than any other organization in the country? Over decades of hard work the Y has taught millions of children and adults how to swim; we ARE America’s swim instructors. Drowning is the leading cause of unintentional death among kids aged 1-4, and 88% of children who drown are under some form of supervision. That’s why we feel it is so important for children and adults to learn water safety, and we offer lessons to people of all ages and stages. What we find most important, however, is ensuring the lessons learned in the pool to be applicable on dry land. For more than 160 years, the YMCA has nurtured potential and united communities across America to create lasting, meaningful change. 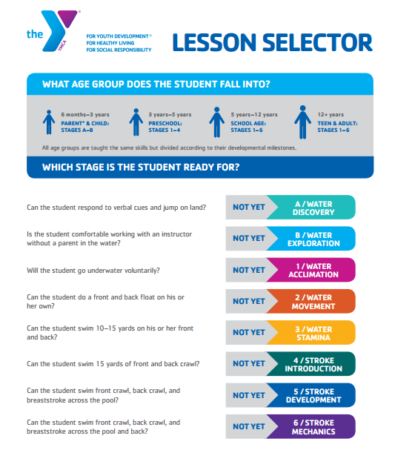 One of the most effective ways to accomplish this is to teach youth, teens, and adults to swim so that they can stay safe around water and learn the skills they need to make swimming a lifelong pursuit for staying healthy, but also to build their confidence in ways that extend beyond the pool. 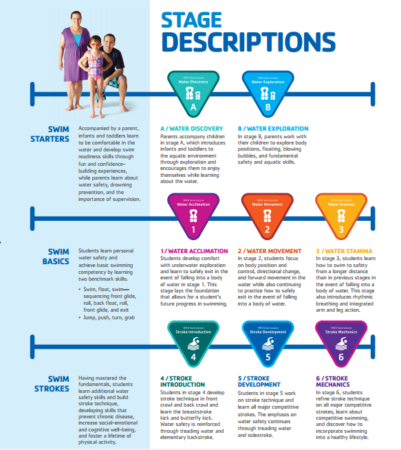 We have recently changed our swim lesson model — no more fish names! 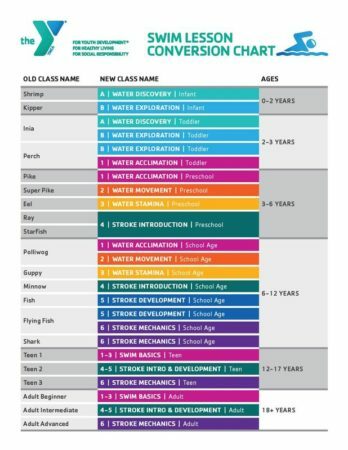 Below you will find a) a chart showing the conversion of old swim class names to the new system, b) a chart so that you can determine which class properly fits yours or your child’s swim needs and c) a general description of the different classes and levels.